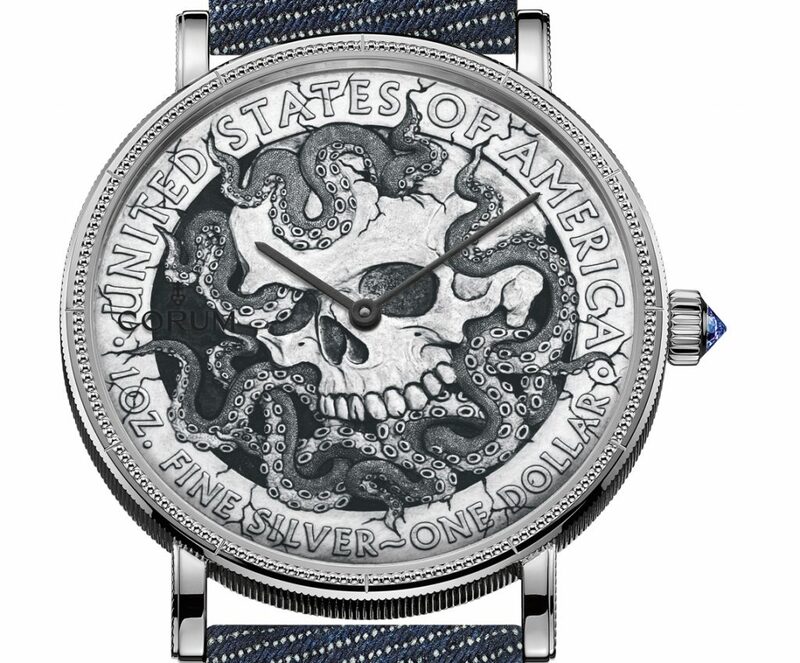 Baselworld 2018: Corum unveils Heritage Hobo Coin with artist Aleksey Saburov. Almost 50 years after being the first brand in the world to turn the famous $20 US Double Eagle coin into a cult timepiece, Corum unveils the newest generation: The Heritage “Hobo Coin.” Designed by artist Aleksey Saburov, who is demonstrating his art here in Baselworld as he is hand-crafting one of the watches, the new Hobo Coin watch is based on what was once the poor man’s coin, a nickel piece made of nickel and issued before the Depression. Today, hobo coins are rare, but Saburov is trying to raise awareness of them. A Russian engraver living in New York, he produces 21st-century hobo coins as unique works of art, micro-engraved on authentic early 20th-century five-cent pieces. For Corum, a relationship made sense. 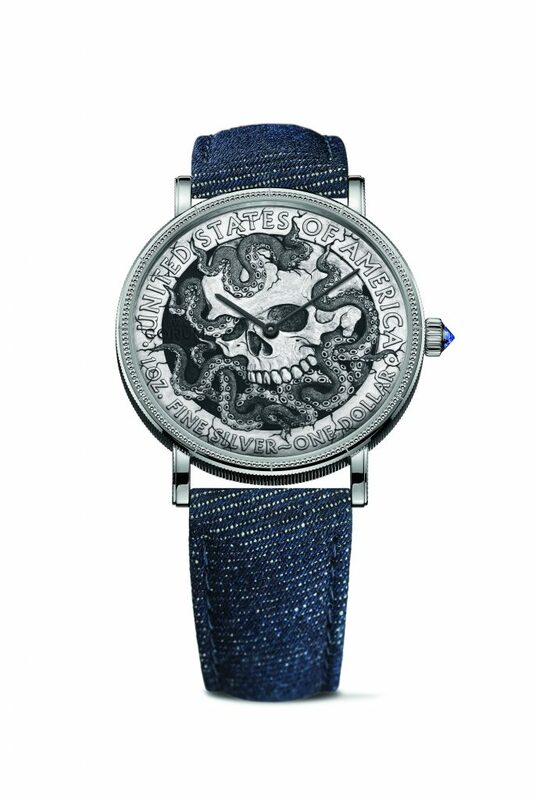 Each hand-engraved Hobo Coin watch is made of a $1 coin and each is unique because each is individually hand made. Suburov has created several designs for Corum’s 43mm watch, which is powered by an automatic movement. Each watch is finished with a denim strap in tones of blue/gray. The watch will retail for about $21,000. Corum Heritage Hobo Coin made of a sterling silver $1 dollar coin. We will bring more details and hands-on pictures of this watch after Baselworld.